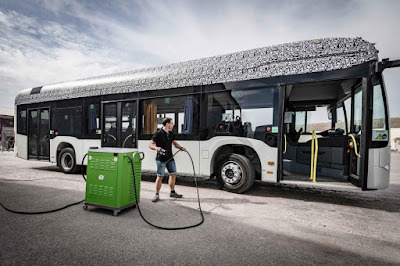 The all-electric Mercedes-Benz Citaro runs locally emission-free and almost silently, taking electric mobility using city buses to a new level. 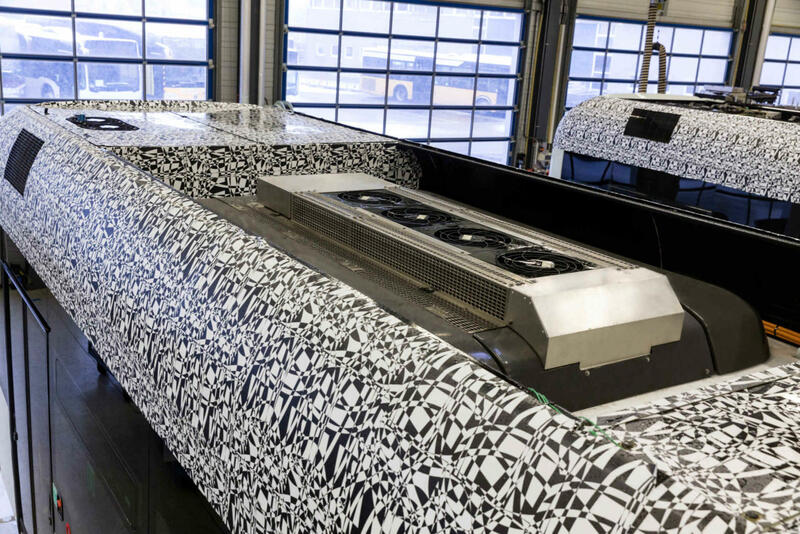 The 12-metre variant will celebrate its world premiere in September at the IAA Commercial Vehicles show, with the start of series production also taking place this year. The new Citaro offers an impressive standard of energy efficiency. The intelligent modular concept for its battery and charging technology is similarly compelling. With its range of low-emission and, going forward, locally emission-free city buses, Mercedes-Benz provides the answers in the quest for environmentally friendly local public transport. All of them are based on the best-selling Citaro, which in 2012 became the first city bus in the world to meet what is currently the most stringent emissions standard, Euro VI. The Citaro hybrid, with even further reduced fuel consumption, is formally classified as a low-emission bus. The gas-powered Citaro NGT is practically CO2-neutral when run on bio natural gas. The all-electric Citaro is now taking the next step from low-emission bus to locally emission-free bus. The basis of its drive system is provided by an electric portal axle with electric motors at the wheel hubs. The peak output of the motors is 2 x 125 kW, while torque is 2 x 485 Nm. It is an inherent feature of such motors that this is fully available right from the start, so ensuring appropriate dynamic performance even with a full complement of passengers. Lithium-ion batteries with a total capacity of up to about 243 kWh are responsible for providing the power. These are split between up to a maximum of ten modules. As well as two battery modules on the roof, the standard equipment includes four modules in the rear of the bus. Depending upon customer requirements, a further two or four battery modules may be mounted on the roof. The charging technology used is similarly flexible. For the start of series production, charging via a Combo 2 connector is envisaged. 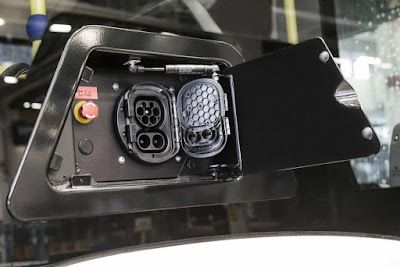 If, in order to extend the range of the vehicle, there is a requirement for opportunity charging, there will in future also be an option to charge the Citaro via a pantograph. The Citaro thus allows for all variants currently in use. 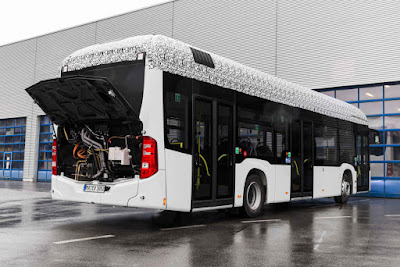 This intelligent modular concept for the battery and charging technology means that Mercedes-Benz is able to offer transport operators the opportunity to configure the Citaro precisely to the individual requirements of the company, or even of each separate route. The passenger compartment of the Citaro is heated in an energy-efficient manner by a heat pump, backed up by the usual side-wall fan heaters and the front heater. All components that give off heat are linked together, so keeping the amount of energy required for their cooling to a minimum. During the colder months, the roof-mounted air-conditioning system is used in addition as a heat pump. The use of CO2 as a coolant brings further benefits. Its very efficient use of the heat pump, even at very low temperatures, is impressive. Electric mobility means rethinking the way buses are used for urban mobility. 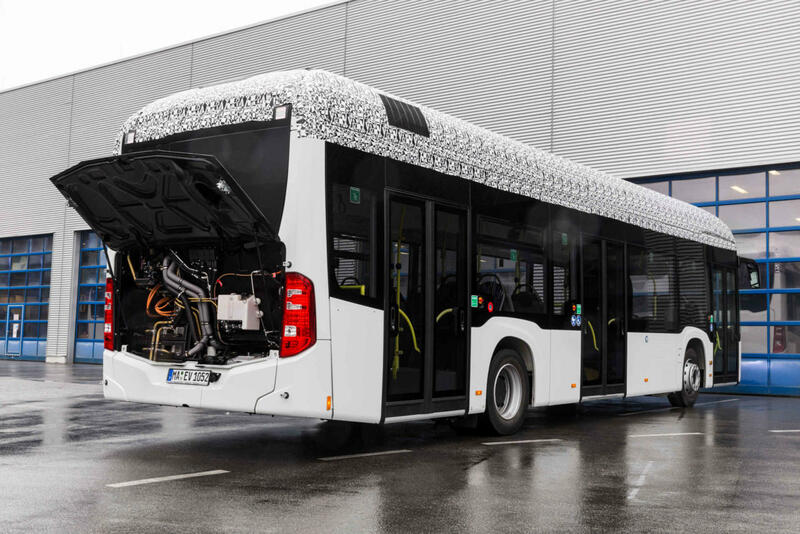 The all-electric Citaro forms part of Daimler Buses’ integrated eMobility system. This encompasses the expert advice service eConsulting, even before any purchase is made. Experts analyse the various routes, evaluating the runs and establishing links between them. A simulation programme then calculates the energy needs. This work produces detailed recommendations and calculations relating to charging infrastructure, energy consumption, load capability of the power supply at the depot and charging management.